Don’t you love when Halloween falls on a Friday? And to make it better we will be shredding tires and partying at the Greatest Place on Earth. So come out to Englishtown Raceway Park and let’s get weird! This is open to all drivers. As always, make sure your car passes tech. If it does not pass, you will not be allowed on track. Registration will not be refunded if you can not pass tech. The rules can be found here: The Rules. Be there by 5pm for the Driver’s meeting. This is mandatory before going on track. We understand that everyone can’t always get there early. If you will not make it by the driver’s meeting, you will need to wait until we have a second meeting. If you go on track without attending a driver’s meeting, you will be kicked out of the session and forced to miss track time. If you let us know ahead of time by email and make arrangements, it will be a lot easier for us to get you on track quicker. This is for your safety and it goes for everyone. It’s $75 to drive. Register using the PayPal button below. Online Registration ends 10/30/14 at midnight. We’re going to line up in the center section. Drift the right hander going towards the hairpin. Slide between the limbo cones. Keep it sliding through the hairpin. And then get back in line. If you spin, hit the cones, stop drifting, then you are out. Use the form below to sign up. Must be registered to drive before signing up. Limited to first 16 that fill this out. 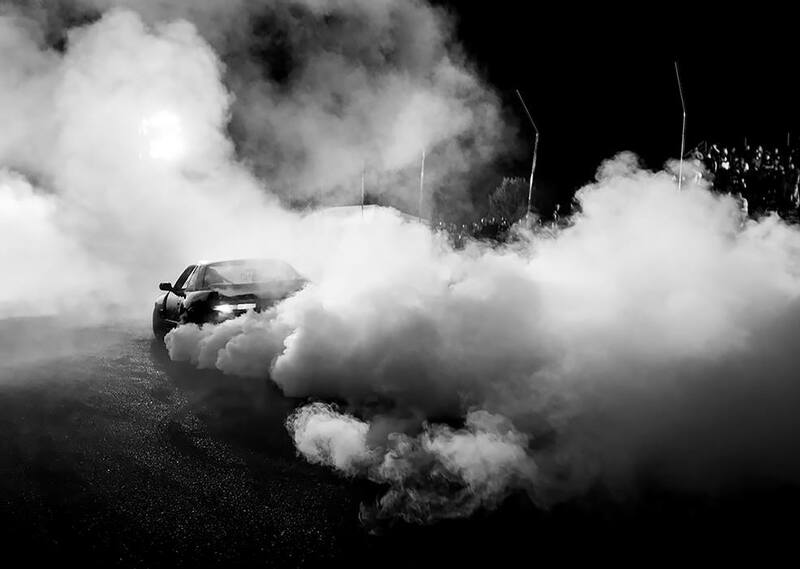 And finally, remember to tag your Instagram posts of you getting ready for the track or working on your car or driving at the track with #godrifting and #fndp. Another great tag is #greatestplaceonearth. And you should follow @clubloose if you don’t already. And then visit Go Drifting or Go to Hell! or check out the tags on Instagram to see what everyone else is up to.